To start, how was this year’s Ellie Mae Experience different from last year’s? Did you make any notable changes? 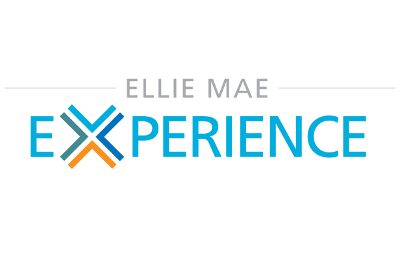 Ellie Mae Experience 2019 was bigger and better than ever. This was our first time hosting the conference at Moscone West in San Francisco, which is right in Ellie Mae’s backyard. San Francisco has been home to so much great innovation in recent years and provided a perfect backdrop to showcase our Encompass® Digital Lending Platform and many of our other solutions to the 3,000 attendees we welcomed this year. In addition to our nine conference tracks, we also added a two-day Developer Summit with two tracks on platform development and data and analytics. Finally, we unveiled Ellie Mae Marketplace, which served as the central hub for lenders of all sizes to explore Ellie Mae’s network of service providers and developer partners throughout the conference. Why do you feel that the theme “Driving Innovation Home” is currently so important for the mortgage community? At Ellie Mae, we have one core mission--to automate everything automatable for the residential mortgage market. We do this in order to help our lenders get more people into homes to achieve the American dream of homeownership. This year’s theme, “Driving Innovation Home,” resonates because we are harnessing the power of the Encompass Digital Lending Platform and our great ecosystem to create the true digital mortgage. By doing this, we’re helping our lenders close more loans faster, reduce costs associated with loan origination, better serve the needs of their homebuyers and ultimately get people into homes. Your conference consisted of more than 60 breakout sessions and a dozen hands-on training sessions – how do you feel this will help attendees? The breakout sessions are led by Ellie Mae subject matter experts, customers, partners, and mortgage industry luminaries who are sharing their best practices, advice and strategy to help our lenders work toward offering a true digital mortgage while also learning about new solutions they might not be leveraging so they can create a plan for success moving forward. The training sessions are designed to teach Encompass users and system admin teams the fundamentals for Encompass configuration, including overviews of user access, loan workflow settings, business rules and more. It is essentially a deeper dive into Ellie Mae solutions to maximize ROI and their investment in Encompass. What would you say were some key takeaways from this year’s conference? We spent a lot of time talking to customers and partners alike about surviving and thriving in the current and future market conditions given the headwinds the mortgage industry is facing. These include rising interest rates, tight inventory, shifting borrower expectations and rising costs associated with origination. Speaking of shifting borrower expectations, a big theme at this year’s conference was how to attract, engage and close homebuyers using marketing and CRM, an online application and portal, transparent and always on communication, and a complete solution for loan officers. Additionally, the new URLA was a hot topic as the changes will impact all lenders starting in 2020 and have the potential to dwarf RESPA-TILA. I think the biggest takeaway is the undeniable power of a platform approach to the digital mortgage and how bringing together customers, partners, developers and of course, the team at Ellie Mae to innovate on behalf of the industry has the ability to be game changing. In looking to the future, what might be big points of focus in the mortgage industry for the rest of 2019 that may influence the conference in 2020? I think the current headwinds will continue to shape the mortgage industry. We’ll watch interest rates, inventory, new housing starts and the millennial population to see how it shifts homebuying trends over the next six to twelve months. In addition, the new URLA will be a major focus for lenders because every stage of the origination process will be affected, from taking the initial application to documenting the information on it, obtaining an underwriting decision and exchanging information with other parties. While it may seem like a simple form change, it has the potential to be at least as disruptive, if not more disruptive, than TRID. As we look to Experience 2020 in San Diego, we’ll create content and opportunities for training, networking and development to address these trends.